Situated on a quiet cul-de-sac west of the freeway in one of the most coveted neighborhoods in Leucadia, this immaculately maintained pool home has soaring cathedral ceilings, a gourmet kitchen with granite countertops and top of the line appliances, hardwood and tile floors in the main living areas, and has a full bedroom and recently remodeled bathroom on the main floor. Upstairs, you'™ll find a sprawling master bedroom with sunset and ocean views. NO HOA'™s, and NO Mello-Roos. See supplemental remarks. SchoolsClick map icons below to view information for schools near 310 Calle De Sereno Encinitas, CA 92024. Home for sale at 310 Calle De Sereno Encinitas, CA 92024. Description: The property at 310 Calle De Sereno Encinitas, CA 92024 in the Leucadia subdivision with the MLS# 190006869 is currently listed for $1,780,500 and has been on the market for 78 days. 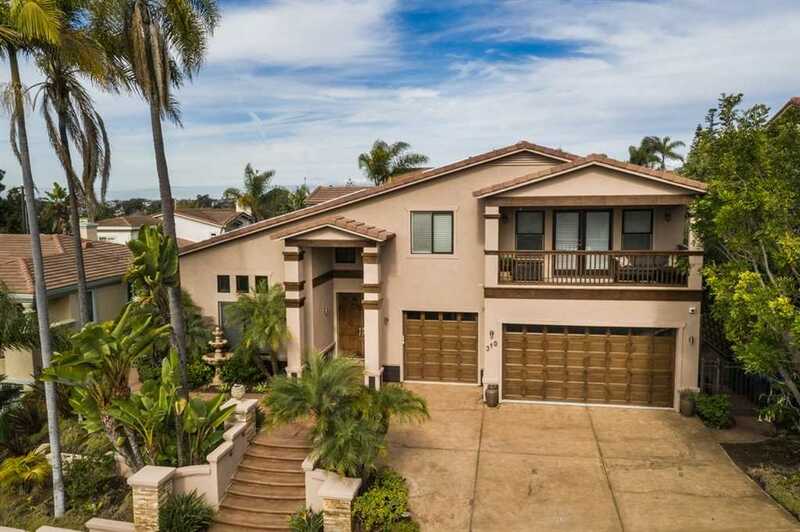 You are viewing the Sandicor listing details of the home for sale at 310 Calle De Sereno Encinitas, CA 92024, which features 4 bedrooms and 3 bathrooms, and 3163 sq.ft. of living area.